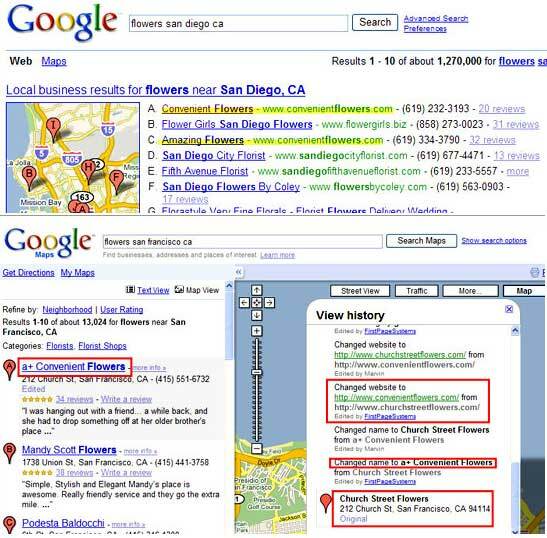 Claim Your Google Local Business Listing Before Someone Else Does! Imagine going to the Post Office to check your post office box to discover that all of your mail and receipts for the past few weeks had been forwarded to an unknown party. The Post Office informed you that there was no chance of getting your receipts back and if you wanted to start receiving your mail at your PO box once again, you needed to go over to their new business center and fill out some forms to claim your box. Just notifying the Post Office that it was your box was not enough to protect it in the future. Due to normal delays in processing it would be 2 weeks before you started receiving your mail and money again. If you’re a small business with a local listing in one of the major search engines, you need to beware: the same scenario described above could happen to your local search result info if you’re not careful. The apparent hijacking of a large number of independent florists in Google Maps several weeks back is just such a story. 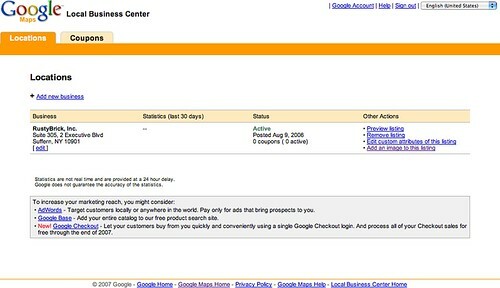 Google, in the role of Post … [Read more...] about Claim Your Google Local Business Listing Before Someone Else Does!